For those of you who celebrated Thanksgiving today, hope it was an awesome one! 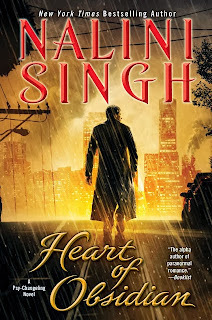 Heart of Obsidian Paperback Now Out!! The North American paperback edition of Heart of Obsidian is now available! Updated: Kindle price now $4.78! Hello everyone. Hope you're having a great week. If you're already a subscriber, you're all set. If you haven't yet joined, you can do so using the short form on the sidebar of the blog, or on the front page of the website. You'll then get a confirm link in your email - you must click that to confirm you want to join. After which you'll get the Welcome newsletter with a Psy-Changeling and a Guild Hunter short story, both of which went out in earlier newsletters. Any problems, email Ashwini (naliniDOTassistantATgmailDOTcom). Look!! 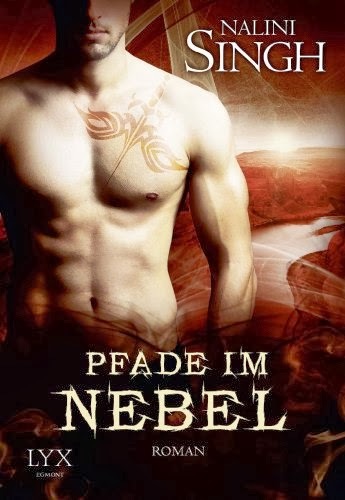 The gorgeous cover for the German translation of Shield of Winter out super early. I love it!! It's book club time! What are you reading and enjoying this week? Declaration of Courtship and Texture of Intimacy Ebooks Now Out!! "Grace." Softer this time. Coaxing. "Look at me." The stand-alone ebooks for "Declaration of Courtship" and "Texture of Intimacy" (originally part of Wild Invitation) are out now in the USA & Canada! 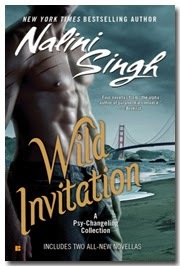 If you haven't read any of the Psy-Changeling novellas, then Wild Invitation is the book you should get, as it includes four novellas. You can find full details of all the stories and excerpts here. International folks - your stand-alone ebooks for these two novellas are in progress. I'll update you with a date as soon as it's confirmed. "If I take you," he said quietly, "it'll be for life." I'm hard at work on Shield of Winter. This is a complex story with multiple threads, but Ivy and Vasic's story is at the very core. The Friday Book Club is open! What are you reading and enjoying this week?